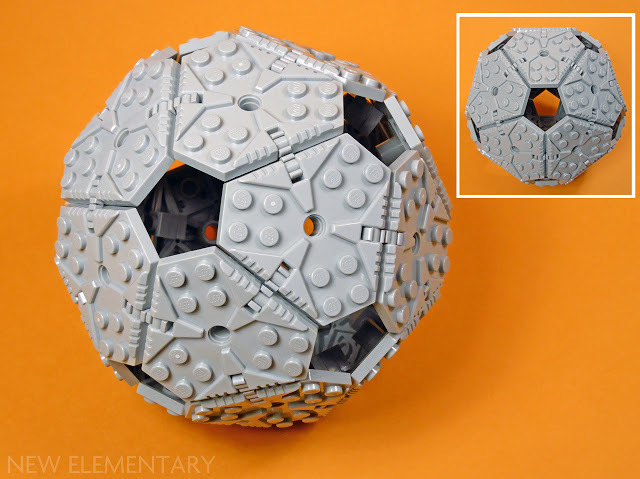 What is this light grey LEGO plate with six sides? 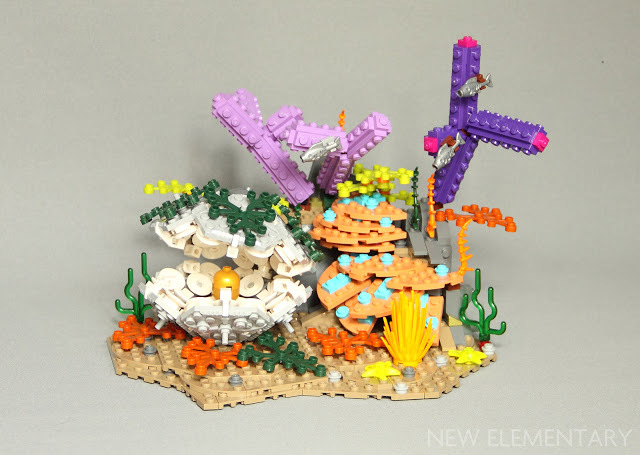 I've been unable to find this specific piece's name, just for the reason that it is a very unorthodox piece. 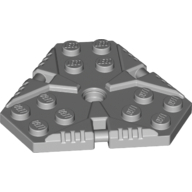 Informally, it's known as the Nexogon. 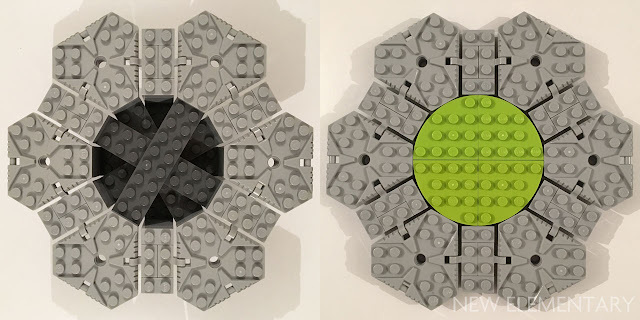 Bricklink calls it "Plate, Modified 6 x 6 Hexagonal with Pin Hole". The part number is 27255. 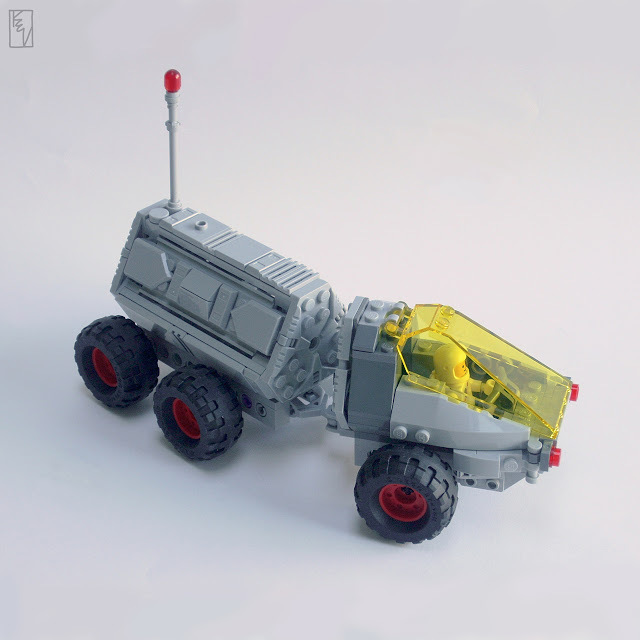 It's original use was as a shield in the Nexo Knights line in 2017, but it has appeared in a few other sets since then. 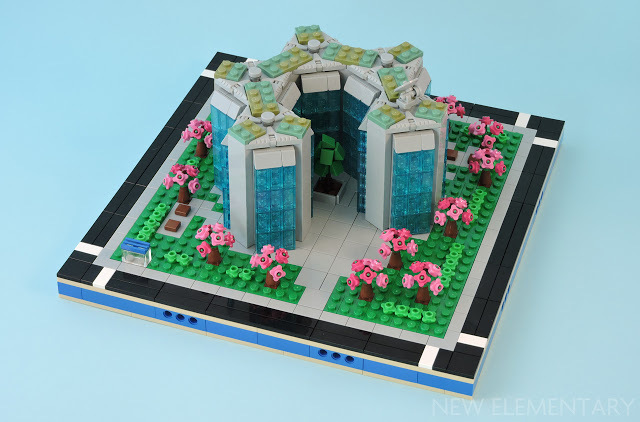 If you're interested in ways to use this part, New Elementary did a whole series of posts from different builders when it was first released. 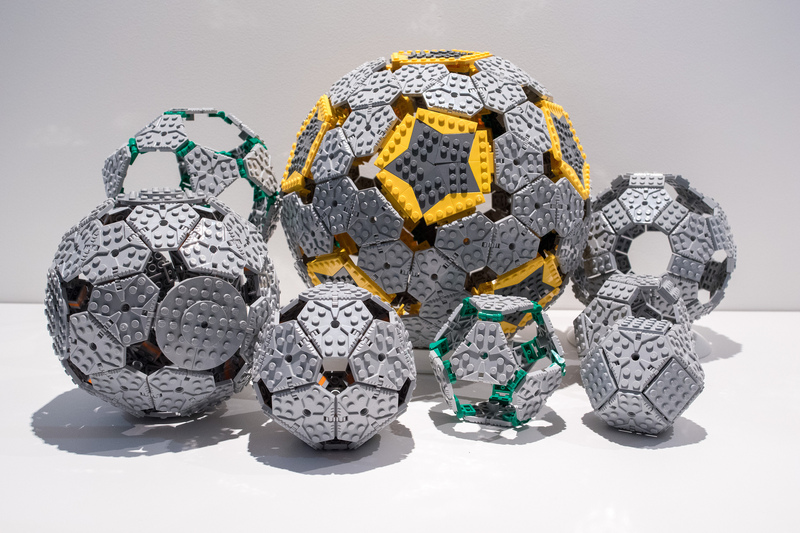 The unique shape and different connection families open up a lot of fun opportunities. 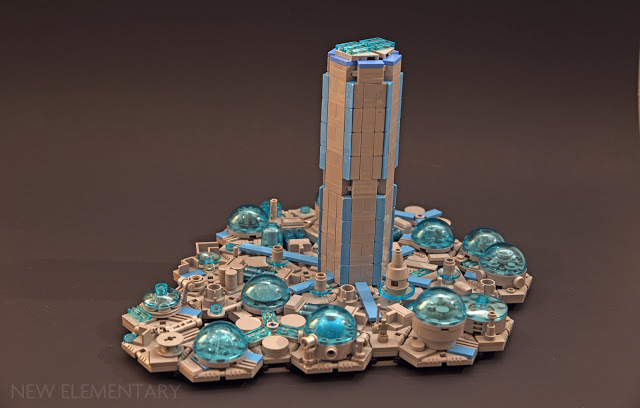 What is the special LEGO Movie 1x1 element shown in the Channel 4 documentary 'Inside LEGO at Christmas'? Can you help me identify this odd fence-like brick? Can you identify this handle-like LEGO piece?